Complete customization in our P3 jersey fit. 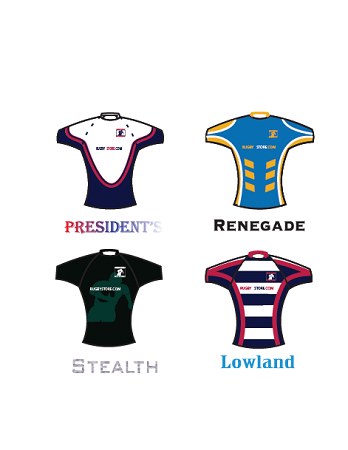 All customization for this jersey is added at the time of manufacture right into the fabric including: team logo, sponsor logo, player name and/or number and is included in your price. The result is a performance fabric that looks exactly how you imagine it with no additional charges for the customization. 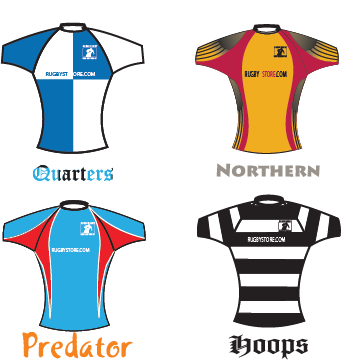 This 100% polyester jersey is specially treated to wick moister away from the body to keep rugby players cool. It is also treated for stain resistance and colorfastness to keep uniforms looking sharp long into a grueling season. The material completely air-dries in minutes, making this the ideal jersey for tournaments. We test our jerseys for colorfastness, stretch and tensile strength, but the most telling test is on the field and they've passed time and time again. Sizes available: XS, S, M, L, XL, XXL, 3XL, 4XL. Delivery: 3-4 weeks from art approval, rush service available. 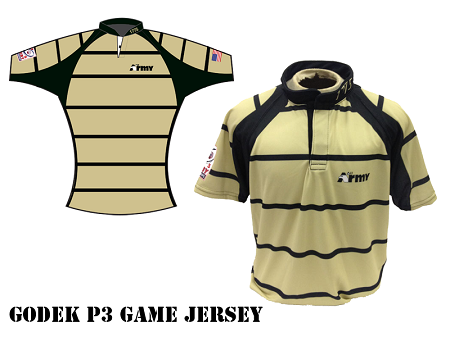 The P3 jersey is completely customizable, and we want to make sure you get exactly the shirt you want. While there is a library of existing designs and patterns, sometimes the best designs come straight from the team. 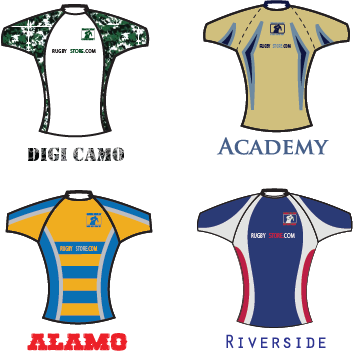 When ordering, please contact us either by phone or email to discuss your new custom jerseys. You may not have a specific design in mind, but by getting to know your team a little better, we can come up with something as unique and original as you are. price includes all set ups, graphics, names, numbers, etc.